A Madison Avenue-based real estate investment firm founded by developers Jonathon Yormak and David Peretz is aiming to transform a wholesale shoe warehouse in Miami’s Wynwood neighborhood into a trendy retail plaza with a rooftop lounge. The proposed 23,500-square-foot project by East End Capital and Yellow Side Ventures is among several retail developments being proposed by New York investors, who believe Wynwood is fast becoming Miami’s version of some of their city’s trendiest neighborhoods. “We see it as the next Meat Packing District, Soho and Williamsburg,” Yormak told The Real Deal. “We believe we are coming in during the second inning of a nine-inning game. What you are seeing now is just the beginning of what Wynwood will be in 10 years.” Yellow Side is a partnership between New York developers Chaim Cahane and Dan Arev. Local retail operators and potential tenants from New York and Los Angeles have shown interest in the 8,500-square-foot of the East End project that includes the rooftop lounge and restaurant, according to SKH Realty real estate advisor Shane Davis. SKH was hired by East End to find tenants for the space. East End has Metro 1 Properties marketing the project’s 15,000 square feet of retail space. Considering the price East End paid for the land, the owners must expand the potential tenant base beyond Miami. Industry experts say only national retailers are in a position to afford the potential rents at projects like East End’s. In February, East End spent $5.3 million on the property, which is located on Northwest 23rd Street, just west of North Miami Avenue. The seller, Mega Shoes Inc., paid just $268,000 in 1997. In May, East End bought a 20,911 square foot warehouse a half-block away at 2214 North Miami Avenue for $4.7 million. For New York investors like East End, an opportunity to “create something unique” exists in Wynwood, said Charles Penan, director of real estate finance specialist Aztec Group. Land remains much more affordable than areas like Edgewater, despite a steady increase in Wynwood property sale prices. Penan recently represented New York’s Atlas Real Estate Partners in its $3.5 million acquisition of a 13,853-square-foot warehouse at 2301 North Miami Ave. “They have already leased two of the three bays to a furniture dealer and an art gallery,” Penan said. New York players started flocking to Wynwood after developer David Edelstein staked a claim in the neighborhood last year, when he purchased a 1.75-acre site at 2801 Northwest Third Avenue, according to local broker and developer David Lombardi, one of Wynwood’s pioneers. Edelstein is planning a mixed-use development that includes 264 residential units, 39,000 square feet of retail space and 19,200 square feet of office space. In May, he added to his Wynwood portfolio by scooping up two properties at 2701 Northwest Second Avenue and 187 Northwest 27th Street for $4 million. “Edelstein is 15 minutes of ahead of everybody,” Lombardi told TRD. “In 1998, people thought he was crazy when he was buying property on Lincoln Road at $300 a square foot. Today, he’s selling it off at $2,500 a square foot and buying in Wynwood at $300 a square foot.” Since Edelstein ventured into Wynwood, Harvey Krasner’s Brooklyn-based Forte Capital bought a 22,462-square-foot building at 48 Northwest 25th Street for $5.3 million in November 2013. Krasner is planning a mixed-use project with retail and restaurants. Lombardi warned that some investors are rushing into Wynwood without really understanding the neighborhood, however. “This is not Brooklyn,” he said. “We need more residential to fuel retail and commercial. Some of these guys think they can put high-end retail in Wynwood. It’s craziness.” Some residential development is on its way. New Yorkers Marc Kovens and Shawn Chemtov recently announced plans to build Wynwood Central, an eight-story condo that will also include some ground-floor retail at Northwest Second Avenue between 24th and 25th streets. Fortis Developments is also looking to build a condominium at 250 Northwest 24th Street. But Lombardi believes the number of proposed residential units doesn’t justify how many retail developments are in the pipeline. 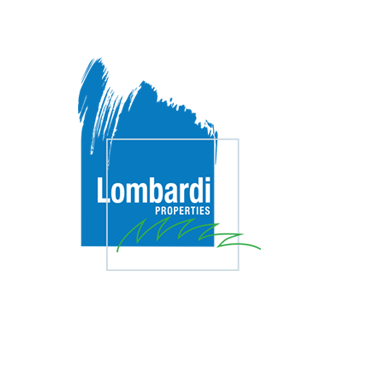 “We need a few thousand units to really achieve the dream,” Lombardi said. “I think in five years, Wynwood will be a different place.” Until then, the neighborhood should grow organically and retain its creative appeal, he said. “I think we are a great location for tech companies and creative agencies that need office space,” Lombardi said. “But with the prices investors are paying for land, they need to get $50 to $60 a square foot in rent. I don’t think it is sustainable.